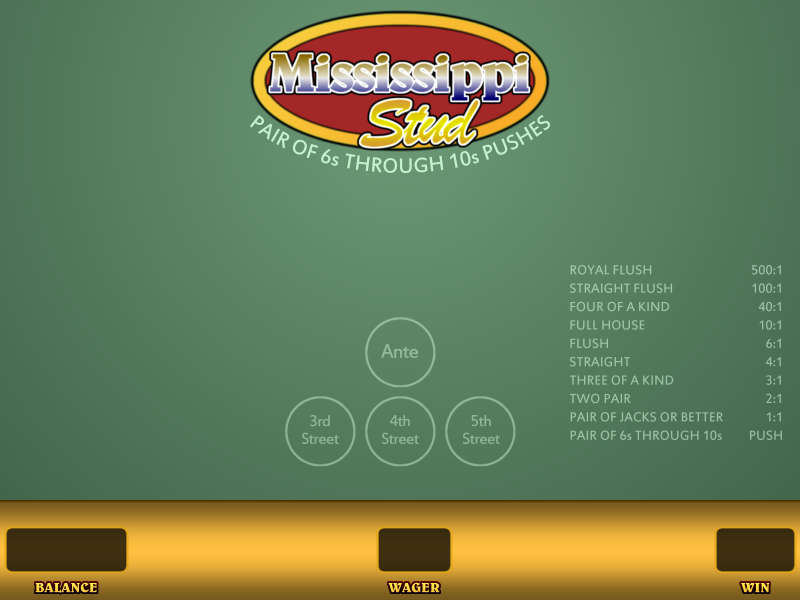 Mississippi Stud is a game available at most online casinos. It may also be found at some live casinos, especially those owned by Caesars Entertainment in Las Vegas. Mississippi Stud is distributed by SHFL. The beginning chip stack in this game is $10,000. This amount may be reset be reloading the page. The amount will be reset by the software if the credit balance reaches zero. The game starts with the player placing a single ante bet. Two cards are then dealt. Three cards are placed in the board that will be used to create a five-card hand. Once the player receives the first two cards, he may fold or raise. A raise may be one, two, or three times the ante. There is never a reason to wager two times the ante. It is important to make sure that you have enough chips to bet every street or else you may be forced to fold a winner. 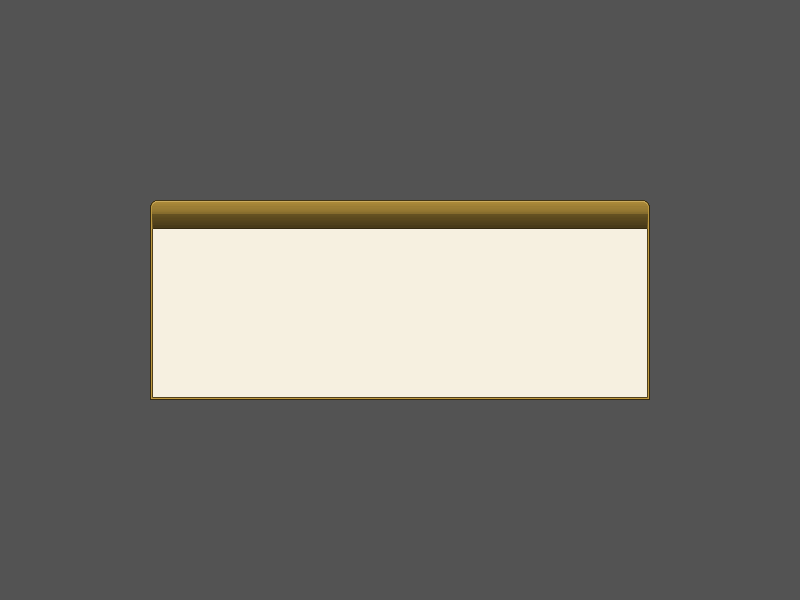 If the player raises, one card from the board is exposed. There is another option to fold or bet one, two, or three times the ante. A second card is then displayed from the board where these options are once again available. If the player raised the fourth bet, the fifth card is shown and the hand is graded. A player that folds at any point loses the ante and any raises made. The hand ends after a fold. The best way to learn Mississippi Stud basic strategy is to assign a point value to all cards. Faces cards and aces are worth two points. Cards between 6 and 10 are worth one point. All cards below six are worth zero points. At the first wager, raise three times the ante with any pair. Raise one time with any hand worth two points or more. A 6 and a 5 should also be raised one time. All other hands should be folded. All other hands should be folded. The following payouts are made to all chips wagered. This includes the ante and all raises. Our Mississippi Stud game provides a pop up window that will alert you when a mistake is made. If you wish to continue with the error, hit OK. If you wish to correct the mistake, click cancel and make the suggested move. This warning box may be prevented by unchecking the box at the top of the screen. 2 Royal Flushes on Mississippi Stud in 3 weeks!